Do you ever think about the children who are living in extreme poverty and don’t have access to safe water? Do you think about the little ones who are forced to work to help pay bills and therefore can’t go to school? Do you weep for the babies who go to bed hungry every night and are dying from preventable diseases? Do you wonder why God doesn’t do anything? I believe God has a plan for eradicating extreme poverty and it’s us – his church. He’s given you and I resources and opportunities to be his hands and feet to a hurting world. As a mother, I would do everything within my ability to provide my children with basic needs, and if I couldn’t, I would be forever grateful to someone who stepped in to walk alongside us. This is what sponsorship is about. I first became involved in the ministry of Compassion International more than 20 years ago when I sponsored my first child, Judith, in Kenya. Through letters, I developed a relationship with Judith and quickly saw the benefits she was receiving through Compassion’s program. She was healthy, educated and growing spiritually. After several years, she graduated from the program having been released from poverty in Jesus’ name. 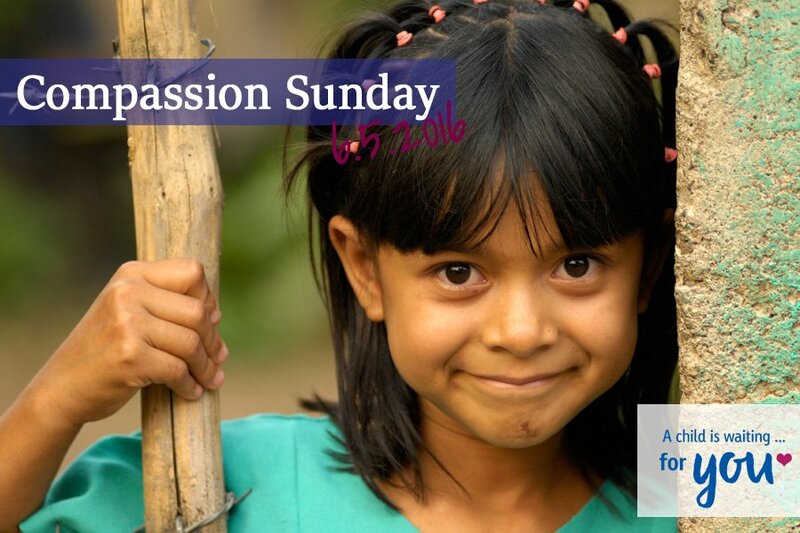 Compassion works through the local church in 26 of the world’s poorest countries. I have experienced the success of this ministry in several ways. I have sponsored children for long periods of time and seen them not only survive in poverty, but thrive and overcome their circumstances. I have traveled to three different countries and met children we sponsor. I’ve stood in their homes and met their parents. 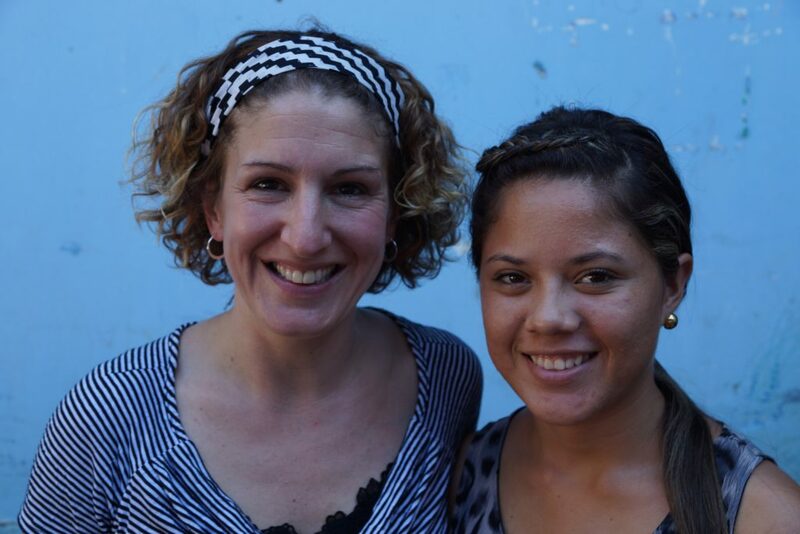 In January of 2015, I traveled to Nicaragua and met Josseling, a girl we sponsored for 12 years. Just weeks before I met her, she started classes in journalism at the local university, and she has officially completed Compassion’s program. On June 5, you will also have the opportunity to hear the story of one of Compassion’s graduates and see for yourself how God uses the ministry of child sponsorship to release children from poverty. 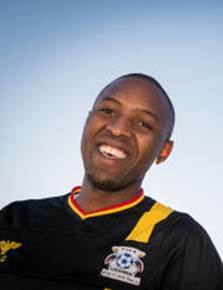 Gilbert Mfitundinda of Uganda will be here to share his story. He was the youngest of eight children, raised in a remote region of southwestern Uganda. His father passed away when he was young, and his mother’s part time work as a peasant farmer barely kept the family fed. When he was 7 years old, he was invited to participate in Compassion’s child development program and thus received nutritious meals, healthcare, education and the opportunity to pursue higher education. He was able to attend college and was the first of his family to graduate from college. His story was changed because someone like you stepped up to become his sponsor. Gilbert will share a small part of his story during the Sunday morning service, but you are all invited and encouraged to come back in the evening to hear his whole story during our Compassion Event! (Sunday June 5th, 6:30 pm in the Fellowship Hall). We are very excited to welcome him to Harvest and to introduce you to this opportunity to partner with God in this way. I’ve never been a girly-girl. I was raised by a single dad who had himself been raised as the only son sharing a house with five older sisters. I am sure by the time he was grown, he had had enough of all things feminine. As a consequence, there was not a lot of fru fru in my early life. I owned one pair of shoes…black and white boy’s high-top sneakers. I wore them with everything. The Urban dictionary describes “fru fru” as “very decorated or girly in nature.” I have expanded that in my mind and use the term to describe any woman who manages to both maintain a nice haircut and put together outfits on a regular basis. I so admire those abilities! I feel that I could be fru fru, if only I didn’t hate clothes shopping, despise getting my hair cut, hate putting on make-up and have an aversion to wearing jewelry. Really, that’s all that is holding me back. My poor husband. I am such a mess. But think of all the money he saves! Nevertheless, I have one girly-girl pleasure: Pedicures. When the weather turns warm and my feet come out of their long winter’s hibernation, white and crinkly, unready for the sun; I take one look at Thedermreport.com and say, “We need a professional.” And I get a pedicure. What luxury! What indulgence! And so worth it. Because for at least two weeks out of every year, I have beautiful feet. And for those two weeks, I feel like a Fru Fru girl. Don’t look at my hair. Don’t look at my stained blue jeans. From the ankle down I am all womanly beautifulness. Sadly, almost no one notices. What is wrong with you people? Do I need to throw myself down in the church foyer, take off my sandals and wiggle my toes in the air to get your attention? Obviously. 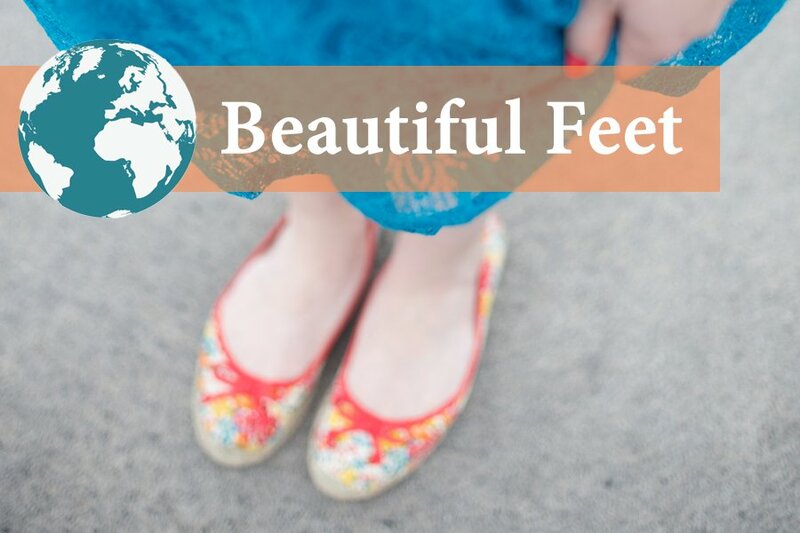 Here at Harvest, we have a lot of beautiful feet: people who minister on a daily basis and share the good news of Christ to those around them. We also send out and support missionaries to reach across cultures and geographical boundaries. Many of these people have made great sacrifices to follow the call of God on their lives and are seeing abundant fruit as a result. Team Expansion: Led by Harry Douglass, Team Expansion works to plant churches among Latin people here in Oregon and in Cuba. Key Communications: The ministry of Key Communications has many facets and a goal to reach Muslim populations all over the world. They produce audio and literature resources in Urdu (Pakistan’s national language) and broadcast Christian media to South East Asia through short-wave radio. They support recent converts from Islam in areas hostile to the gospel of Christ and educate Christians in how interact with Muslims in a positive way. Ibero American Ministries (IAM): Doug and Shelly Kallestad: Doug and Shelly work with IAM ministries to plant churches and provide humanitarian services all over the world. Tierney Christian Mission: Jim and Kathy Tierney are spreading the word of the Lord across the Kamketo region of Kenya, Africa. South Sudan African Mission: Paul Douglass works with his team to train native Sudanese men to serve Christ, planting churches and extending the Kingdom of God in South Sudan. I look forward to sharing more details about each of these ministries and how we can support them. These are the hands and feet of Jesus, spreading the good news all over the world. And they are beautiful. 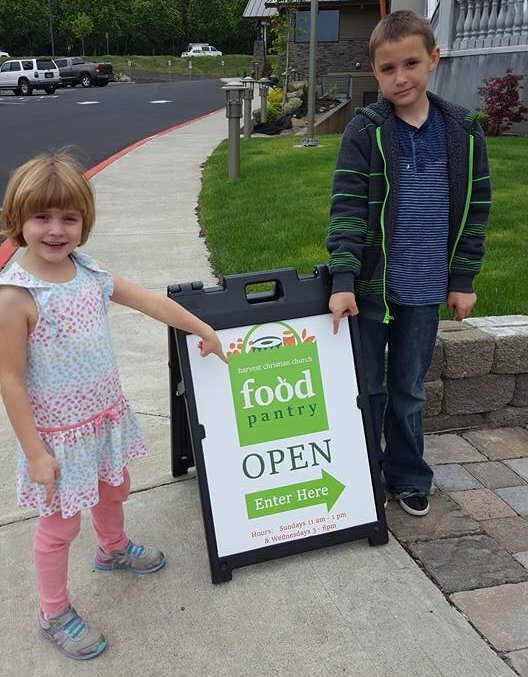 This past week the Harvest Food Pantry had its Grand Opening. It started off slow on Sunday (first day) but picked up steam on Wednesday! Between Sunday and Wednesday we provided food for 42 people! 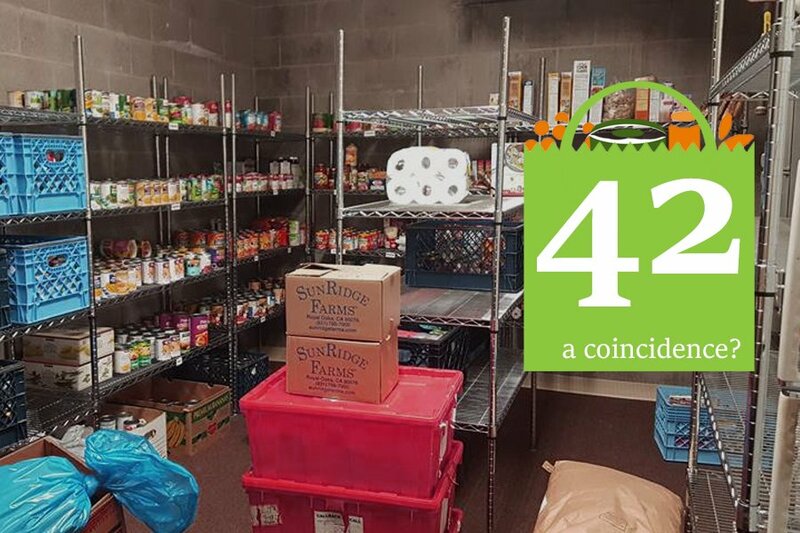 We are so grateful and humbled by the outpouring of support the Harvest Food Pantry has had and can’t wait to continue to provide to those in need. Harvest Christian Church members I ask that you continue to partner with us by praying that we can be the hands and feet for our community through ALL of our ministries.